With the home buying and selling process firmly on the news agenda of late – everything from a possible ban on referral fees to reservation agreements being made compulsory – I thought now would be the perfect time to get in touch with conveyancing guru Rob Hailstone. A well-respected figure across the industry, Rob was previously a residential conveyancer for more than 30 years. Now he is the Founder & CEO of the Bold Legal Group (BLG), which was established in 2010. It’s a national network of over 650 high street law firms that Rob provides help, advice and industry updates to, using his extensive legal contacts to keep his membership as informed and safe as possible. He was also Founder and Chairman of Hipag from August 2005 to May 2010, providing his unique version of Home Information Packs (HIPs) to sellers. What do you think of the proposals to make Reservation Agreements part of the buying process? Anything that can help improve the process has to be welcomed. However, it is important that the planned trial is thorough and meaningful. The last thing we want is an agreement that is not accepted widely and causes more issues than it solves. One problem is that even if it is good, but not mandated its use might be random, and random probably won’t cut it. Never has the phrase, ‘the devil will be in the detail’ been more relevant. 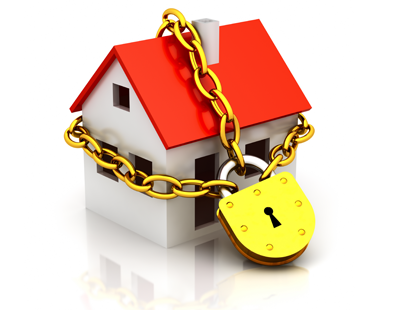 What have been the biggest changes to conveyancing in your years in the industry? And what do you see as the biggest changes in the future? Unfortunately, the biggest changes are not, on the whole, beneficial ones. Yes, we have new technology but we now have more red tape, more bureaucracy, more threats and risks. Which in turn creates more work, more checks and more delays. 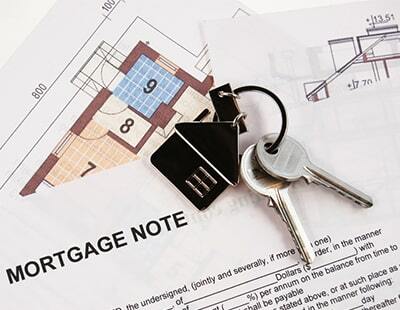 Bizarrely, the home buying and selling process was much easier when it was more complicated. When I started my career, back in the mid 70s with nearly every title an unregistered title and only snail mail, the process was: quicker, less stressful and from a property lawyers’ perspective more challenging but fun. In many ways, we have gone backwards not forwards. With HM Land Registry’s high-profile digitalisation programme, do you see the process becoming increasingly online and tech-led in the next few years? With or without HM Land Registry’s high-profile digitalisation programme, the home buying and selling process will be transacted increasingly online and tech-led. I am contacted almost daily by new PropTech companies asking if I will promote their services and products to my member firms. However, it is very difficult sorting the wheat from the chaff, whilst trying to give them all a fair hearing. Having said that, there are very few real game-changers. There are number of new products and services I would like to see given a chance though, in particular simultaneous completion systems like Shieldpay (wouldn’t that make everyone’s Friday a lot better?) and the reservation agreement concept like Gazeal. But more about that later. What do you make of Land Registry’s five-year digital strategy and its exploration of new tech like Blockchain? Along with most people I don’t yet really understand the finer details of Blockchain and how it might help improve the home buying and selling process. The LR have, in the past, tried before to introduce new systems that will make a difference with varying degrees of success. That is not to say it shouldn’t try again and I urge my members to respond to all LR consultations and get involved in as many trials as possible. For example, the jury is still out on whether or not the partnership with local authorities in England to standardise and migrate local land charges register information to one accessible place is going to be totally successful. HMLR should not lose sight of its core objectives though and spread itself too thinly. Quick, efficient and accurate land registration is vital for all homeowners. 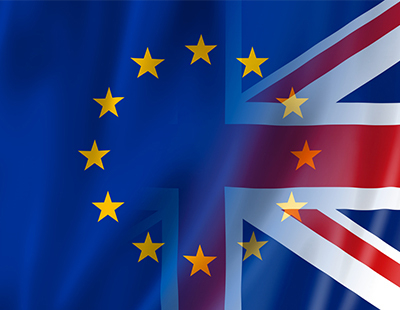 Will Brexit have any major impact on conveyancing or the property industry as a whole? I don’t think Brexit will have much of an impact on conveyancing, per se. However, Brexit (or should I say the lack of Brexit) is already making a tightening market even tighter. It doesn’t take a rocket scientist to work out that economic uncertainty will make potential property buyers and sellers think twice. What we don’t need is all of the doom and gloom stories that the national press seem so obsessed with. But asking for that to stop is like asking all politicians to answer direct questions with a direct answer. Don’t hold your breath! What went wrong with Home Information Packs? Why did they prove so unpopular? Having built a HIP production business (an exchange ready HIP), if I was ever on Mastermind, HIPs would be my specialist subject. What went wrong? The scrapping of HIPs is what went wrong. There should have been a suspension, an examination of the results, and then some changing/improving of the process. Why were they so unpopular? They were foisted upon us without any or little consultation with real coal face workers and they did not contain enough, or the correct information. Current discussions about how to improve the home buying and selling process always lead to one possible solution, providing more information up front. It makes perfect sense for a property lawyer to get all of the sale documentation and information together whilst a property is being marketed. I think, over the next year or so, we will see more property lawyers working closely with estate agents in order to produce some kind of seller’s pack. Couple that with the introduction of a Property Logbook (maybe the Property Logbook could become the seller's pack? ), which the government appears to be supportive of, and you will see fall through number and exchange times fall. How do you feel about the planned crackdown on referral fees? Should they be abolished completely? Not a great fan of referral fees. I am, I suppose, an old school conveyancer. Pay me what I need to do the job efficiently and I will do the job efficiently. However, referral fees are a fact of life now. Ban them, and they will go underground or simply exist in a different format. They should be capped and, as will happen shortly, made more transparent. A property buyer or seller should know in advance, if nearly half of their ‘purported’ legal fee is going to the agent or some other work referrer. Tell us more about the Bold Legal Group’s tie-up with Gazeal? Gazeal operates a reservation agreement system and the government want to trial reservation agreements. It makes sense to me to help spread the Gazeal word. Having looked at the tech systems, the underlying legal documentation and the insurance that sits behind it I feel that this is something that the profession should seriously consider as an option, and that if it is adopted all parties to the transaction could benefit. What do you like doing in your spare time to switch off from work? For someone who is a borderline workaholic, that is the toughest question so far! As I sit at a laptop a lot of the day, I try to keep fit. Hiking over Dartmoor as often as I can and dusting off a few weights in the garage when possible hopefully does the job. One of my New Year’s resolutions was to go out with Lynne, my wife, more. So far this year we have seen at the theatre The Circus of Horrors (not for the faint-hearted) and An Entertaining Evening with Nigel Farage (entertaining! ), and at the cinema, The Favourite (good but odd) and Green Book (very good). Next up, a tribute Bee Gees band. Bring back flares, medallions, platform shoes and unregistered conveyancing I say (with tongue firmly in cheek). Brilliant answers, Rob. Thanks very much. 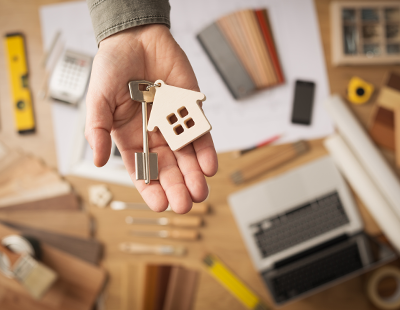 While the conveyancing market is evidently crying out for change, there are some great firms out there – such as Fitzalan Partners and The Moving Hub - who are already seeking to transform the way things are done. Fitzalan Partners, an online marketing platform established in 2011, has seen its network complete the conveyancing process for tens of thousands of home buyers and sellers since. It generates conveyancing and RICS survey instructions direct from buyers and sellers in England and Wales through client-facing websites and is also the brains behind conveyancing comparison website The Solicitor Finder. The Moving Hub, meanwhile, is a conveyancing platform designed to help introducers (such as mortgage brokers, financial advisers and estate agents) connect to one of the largest networks of vetted solicitors across England and Wales. It has been responsible for a number of firsts, including being the first to offer referral fees upfront rather than on completion, the first to vet each solicitor individually and ensure maintenance of strict service level agreements and the first to offer support 24/7. Expect to hear their names mentioned plenty in the years to come as conveyancing becomes ever more tech-led and digitalised.